There’s doing your job. And then there’s pausing for a few critical moments before you decide to annihilate the world…all while doing your job. Thankfully (hopefully??? ), most of us will never face this dilemma. But for Soviet Lieutenant Stanislav Petrov, the decision he faced on September 26th, 1983 was very real and very critical. Petrov was operating a radar system built as an early detection for incoming missiles. Located in a deep bunker outside of Moscow, Petrov noticed something on his radar just past midnight. A single missile was headed towards in the Soviet Union. His screen lit up with the “launch” signal to fire in retaliation. To date, countless algorithms had been run by both the U.S. and the Soviets, calculating the outcomes of a strike-for-strike war. In each case, the result seemed to be the same: mutually assured destruction. But most of these scenarios saw a bevy of missiles being fired at strategic points on both sides. Here, was one singular missile headed one-way. 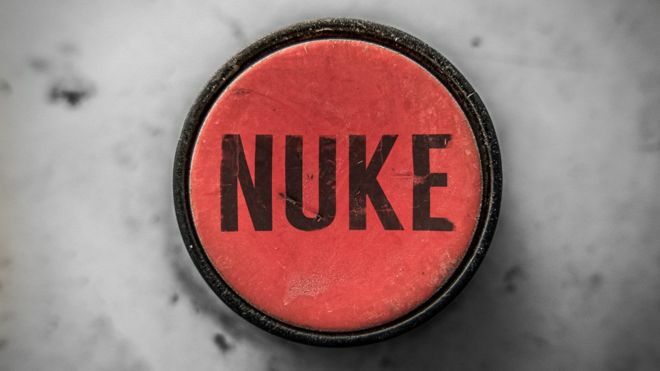 Realizing this was not a “normal” predictor of a nuclear exchange, Petrov made the important decision to hold tight — despite the red, blinking light in front of him telling him to fire away. It’s a good thing he did, as the “missile” ended up being the sun’s reflection on clouds. Sadly, Petrov passed last month at the age of 77. But the next time you ponder your existence, think about “what ifs” in your life or just stop to appreciate your loved ones, give a thought or a nod to a person you’ll never know, for they may have been the one that saved life itself. And that is what we call doing your job!